Spring has sprung in Idaho and the Middle Fork and Main Salmon rivers have seen their first spike of the spring season. 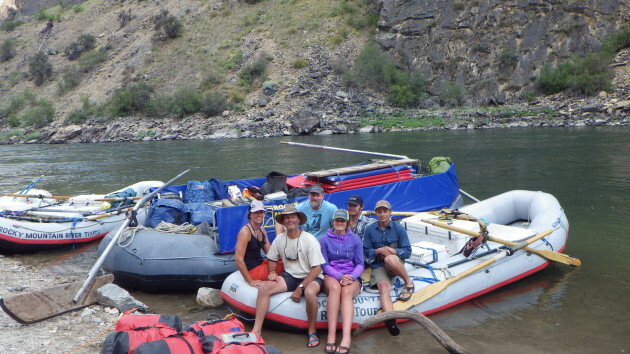 The summer rafting and fishing forecast is looking phenomenal and Rocky has a limited number of seats on both the Middle Fork of the Salmon and the Salmon River of No Return. The last remaining seats of summer will vaporize as spring catches hold across the country and our return clients pick up the remaining seats chasing the opportunity to escape, unplug and rejuvenate in the largest Wilderness in the lower 48. 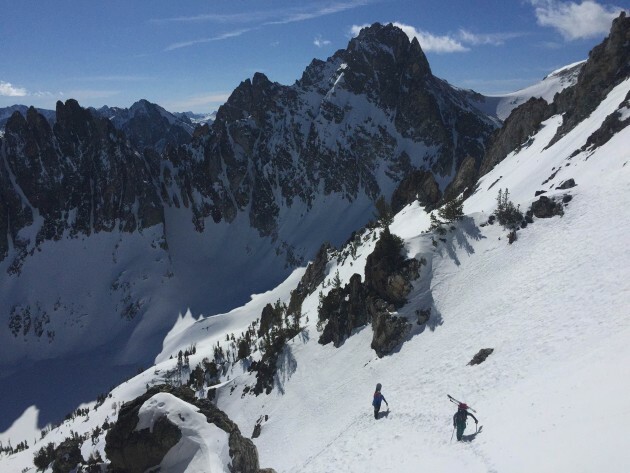 The 2019 middle fork snowpack is looking fabulous and the snow just keeps piling up in the upper elevations. 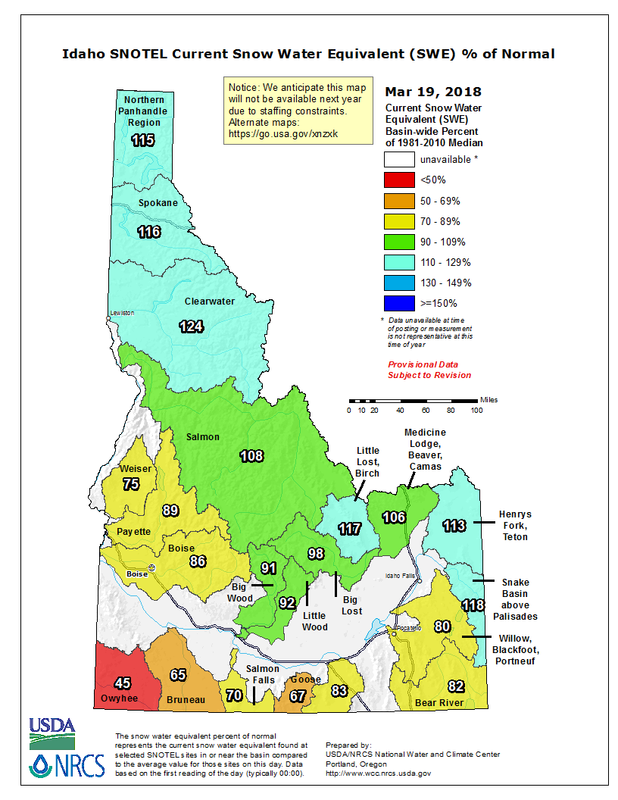 Upper elevation snowpack is the key to a long whitewater season and excellent fly fishing season The Middle Fork will host world class whitewater in June & July and phenomenal fishing conditions in trips and the August and September. Fall fly fishing dates 8/26, 9/3, 9/10, 9/18 are all full. We are booking 2020 fishing trips now. A big snowpack does not just offer great June and July whitewater, but it reaps rewards all summer long. The River of No Return’s vast sandy beaches are legendary. The larger the runoff, the bigger the beaches. 2019 beach camping is going to be ridiculous! Think volleyball, slip and slides, capture the flag and plenty of space to escape it all. 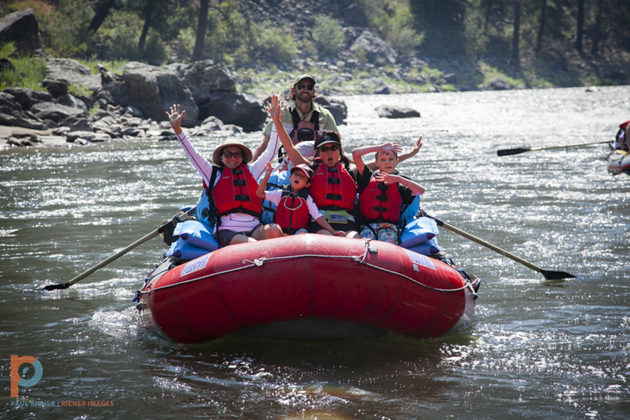 Rocky Mountain River Tours Annual Family Trip is perfectly timed to give your teen and young adult a PURE DIGITAL DETOX before heading back to school. Our Annual Teen & Young Adult Trip is catered to families with kids in their upper teens and twenties. This trip is always a blast! 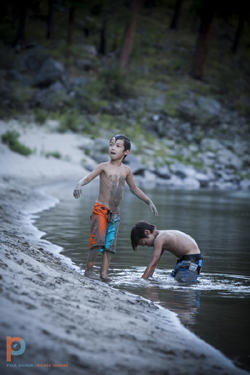 Rocky’s August 10-15th Middle Fork of the Salmon attracts active, multi-generational families from all over the world. Parents get to socialize, relax, and watch their young adults put the phone away, challenge their comfort zones and make lifelong friends. Each spring RMRT sets out for its annual Guide Training Trip. The goal is to dust off winter’s cobwebs on a high water Middle Fork- Main Salmon Combo. 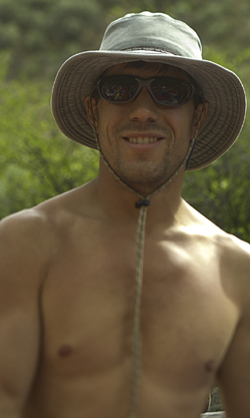 This year the water levels were perfect for a 4 day assault of 185 miles of Idaho’s best whitewater. 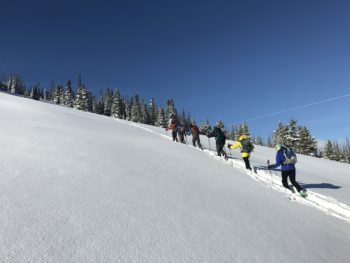 Due to an insane amount of snow on Banner Summit we stuffed raft gear into airplanes and took the scenic route to the river. From the air we followed a super swollen Raft River as it joined a much larger Middle Fork. 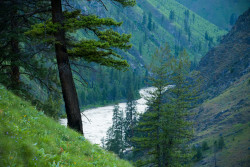 The color of the Middle Fork had an Alaskan like green-grey tone as it freight-trained down river. From the air Lake Creek rapid looked clean and fun, Pistol looked super swirly. It started raining as the last plane departed. We were greeted with a full eddy of logs and driftwood at the bottom of the boat ramp. Thursday night ranger Dave gave us a gage reading of 8.2. A solid rain continued through the night. Temps dropped. We woke to dropping river levels and a low snowline. The surrounding peaks were dusted white. After playing a Hercules sized game of pick up stix with lodgepole and Pondy’s in the IC eddy we launched boats and departed downstream. Stiff breeze and cold temps. Dropping levels. Majority of water was coming off the top. Loon Creek and Camas Creek were running high and brown. Big Creek did not have as much water as we expected. Below Big Creek the tribs were running clear. Rapids that stood out…. Ski Jump, Jackass, Cub Creek waves were building and swirly, Tappan Canyon was a washed out blur. The 5 miles from Haystack to Grassy Flat was the most fun of the trip. Continuous huge waves and hole dodging. Super fun. The weather broke as we arrived at camp. Dry Suits were torn off and the sun at Grassy felt like July. Great hike up the ridge behind camp. Ridiculous wild flowers and electric green views in all directions. The lower Canyon was action packed. 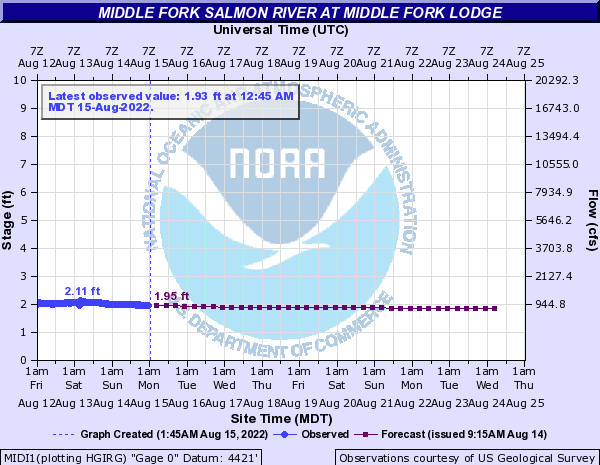 Weber felt like the largest rapid on the Middle Fork. The waves in Hancock were the biggest so far. Lower Cliffside was the most difficult move to keep inside left. Rubber was starting to wash out. Clam Rock was a pour over. It took us less than 1.5 hours to float 24 miles to the confluence. Movin. Cramer was washed out. Kitchen Sink Rapid between Cache and Corn had some huge waves. Arrived at Corn Creek around noon ate lunch, swapped off at the oars between the MF crew and the MS crew, picked up a permit and headed down the Main. Approximately 18,000 at Corn Creek, 70,000 at Whitebird. The first waves in Killum were larger than any on the Middle Fork. Spent the afternoon staying on the inside and managing huge, inconsistent waves, massive boil lines and chaotic haystacks. The waves in Hancock stood out in size and stature. Aside from an abbreviated soak at the hotsprings we arrived at Magpie Creek Camp around 5:30 PM. 67 miles in a day. A personal record for many of us. That evening we tried our new recipe for our Bristol Bay wild Sockeye Salmon. Weather: Perfection. Crazy Green. HOT in the lower Canyon. Started the morning out with Bailey Rapid. Huge, fun wave train. The Sapp Creek through Little Stinker series was action packed. Split Rock requiring a solid move to avoid. Magnetic. Big Mallard was completely washed out and Elephant Rock in Elkhorn was an enormous breaking wave hole that looked clean and runnable…until it built and broke, easily swallowing an 18 foot boat. We floated by in awe. We scouted Whiplash. It was at a relatively friendly Class IV level. A few folks took the left side of the tongue, while others took the high and dry sneak line on far river left. We stopped at Buckskin’s, said hello to Heinz, chatted with a group from Alaska. Only people we saw on Memorial Day weekend. The South Fork was running clear. The float from the South Fork to Lower Bull Camp was absolutely beautiful, and having current through the Salmon Lakes made it fast and fun. Floated the 9 miles from camp to Chittam rapid in no time. Lots of big waves and boils. Dried Meat Waves were huge. Scouted Chittam, Arguably the biggest rapid on our trip. The easy sneak was washed out requiring a hard pull to break some huge boil lines on the right side of the tongue. Everyone had clean lines. We passed Carey Creek Boat Ramp around 10:30 and continued downstream. The boil lines and eddy fences from Carey Creek to Spring Bar were impressive and humbling. Keeping down river momentum was a constant struggle in the big, swirly water. We had some great boat flip “training” and arrived at Spring Bar on time at 1 pm. The drive back to Stanley included a stop at KB’s for a burrito in McCall and a rapid, by rapid description of the North Fork by Max as we drove past. A quick stop at Boundary Creek road to recon the road quickly turned into a snowball fight and we arrived in Stanley around 8 PM for de-rig. All in all it was a great trip. Essential for the Middle Fork crew to see the river at high flows before safely introducing guests to the fun next week. Stay tuned for pictures and video…. 2017…Off To A Phenomenal Start! Happy New Year to our river family! This time of year we are watching the snow pile up in eager anticipation for the whitewater ahead. Nothing is better for the Salmon River country than copious amounts of snow and so far old man winter is delivering (knock-on-wood)! The natives love it. 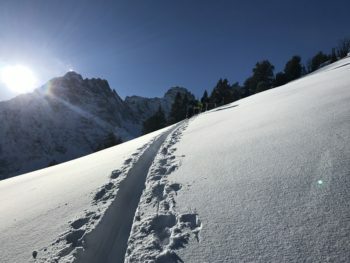 All our river guides over at Sawtooth Mountain Guides are getting to slay, fresh un-tracked Sawtooth silk all winter long. While our drought stricken forest are getting free refills and the Cutthroat are giddy in anticipation of all that clean, cold summer water. We have officially embarked into the “Booking season”. 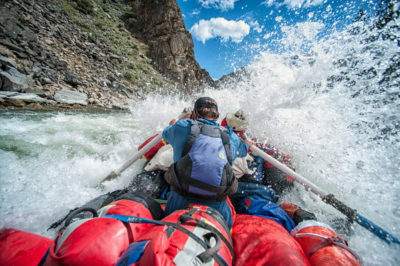 The first 3 months of the year are busy with daily phone and emails asking about trip availability and “Why Rocky?” Due to the limited number of seats on each of our trips, and the limited number of trips, this time of year is equally as busy as the summer rafting season. 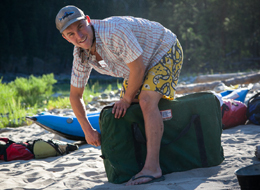 Current availability on our Middle Fork of the Salmon and River of No Return trips is great. While some of our Peak Season Dates are full, others have great availability. If the current snowpack is any indication 2017 is going to be a phenomenal rafting season. 5 Easy Steps to booking the ultimate adventure vacation…..
Place a complimentary HOLD on seats for 7 days will you rally your group, explore travel options. We will send you and email link allowing you to view your invoice and place a credit card deposit to book. Summer of 2008. 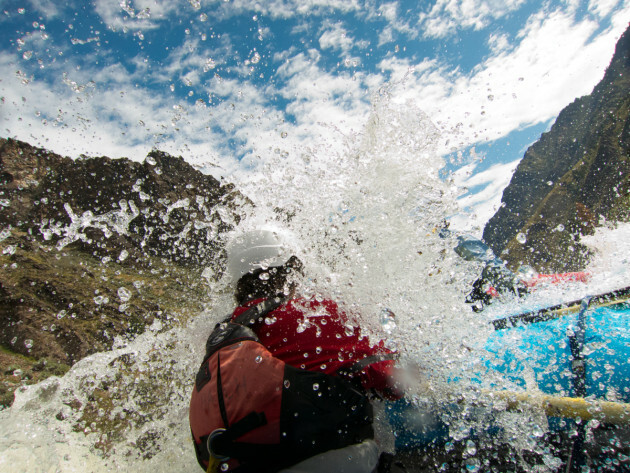 We were new to the multi-day rafting biz and looking for a niche to fill trips. The original ‘Kids Trip’ on the River of No Return was originally created when Maya (Rocky’s heir apparent) turned 6 years old. 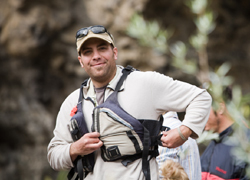 As a father, outfitter and owner, Jared wanted to create a family adventure that would draw fellow adventurous families to the river. The concept took hold and 10 years later Rocky’s family adventures are some of the most popular, and definitely the most fun trips of the summer. 2017 will celebrate the 10th annual Kids Trip on the River of No Return and 5th Annual Teens Trip on the Middle Fork. These trips are awesome, full of adventurous families from all over the world. What used to consist of families from Cali, Oregon and Washington, have recently been outnumbered 2:1 by families traveling from the East Coast and abroad. 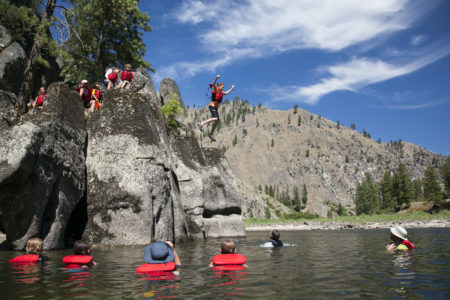 In 2013 we added the Middle Fork’s Teen Trip to our trip offerings. 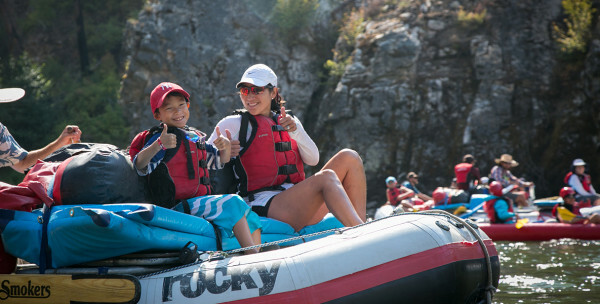 While all Rocky trips are family friendly, our signature family trips offer a unique program. We bring along extra toys, extra staff and all the ingredients to make these trips the ultimate family adventure. Guests experience Inflatable kayaks, Stand Up Paddle Boards, glow-in-the dark bocce ball, intense baggo tournaments, River Olympics and loads of opportunity to make new friends. All of this is in addition to Rocky’s legendary hospitality, creative river cuisine, signature glamp-ing (diva-approved camping) and the most impressive Wilderness in the US! Rocky’s 2017 trips are booking ahead of schedule. Call Now! Labor Day on the Middle Fork! Includes Fly Fishing boats and professional fishing guides. Space is limited. Call Jared 208.345.2400 to explore options. I always claim our guides are the best in the business, though some might say I have a biased opinion. This last week I have received a copious amount of great customer feedback. This particular email I had too share. The irony…this person did not go on a Rocky Mountain River Tours Trip, but felt she felt the need to send me a quick note…..
Stay tuned for semi-regular snowpack updates as Spring has sprung in Central Idaho. 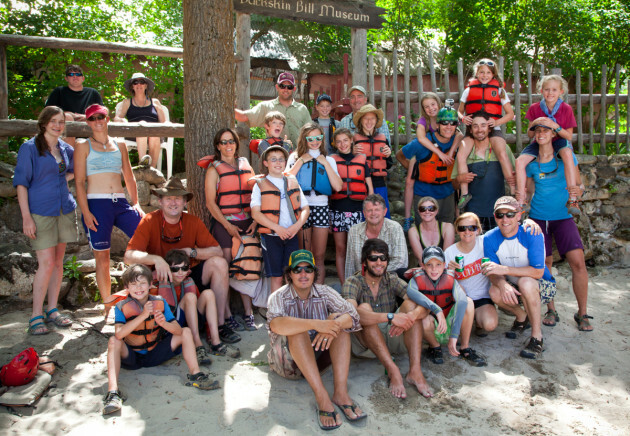 Book Rocky’s July 13-18 River of No Return Family Adventure and receive 30% off! The 1st day of Spring at Rocky Mountain River Tours is a huge deal! Spring means our river family is starting to get back together. The guides check in and update us on their winter adventures, check in on trip dates and get an update on their favorite guests. We order new equipment, choose guide uniforms and watch the Sawtooths snowpack like Wall street watches the S&P. We start ordering our specialized menu items including wild Alaskan Salmon, grass fed Idaho beef, small batch handmade hot sauces and our famous signature roast coffee. Things start to happen, and happen fast as our first trip, the Annual Guide Trip quickly approaches. To celebrate two of our favorite things, Springtime and Families, we are offering for the first time an opportunity for families to experience this amazing adventure on the River of No Return at a fraction of the retail price*. This is a 2-day sale. Discount only available for reservations made March 19 & 20. 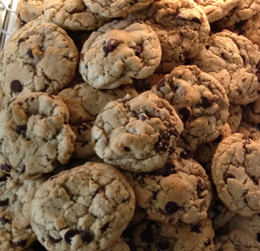 If you have joined Rocky Mountain River Tours recently you have tasted what we strongly believe is the best chocolate chip cookie on the planet! Jared’s sister, is the magician behind these divine morsels and takes her chocolate chip creations super- serious. 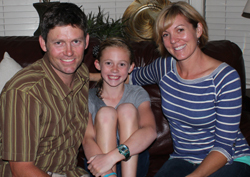 A few years back Nicole, a former real estate maestro, chose to step away from a very successful career in real estate development to stay at home with her special needs daughter. Now days Nicole & Aspen spend countless hours each Spring & Summer creating more than 4000 of these amazing cookies. Each and every cookie is made with love, joy and some carry-over tenacity from the real estate world. Cream butter, BF crisco & sugars. Add eggs & vanilla & Mix…keep mix on low while adding salt & baking soda. Add flour (& 1 TBS water if high alt) & mix. Add old fashioned oatmeal & mix. Slowly fold in chocolate chips. Bake at 380 degrees 10-13:30 mins depending on cookie size or till lightly golden brown on top. Makes approx 3 dozen small cookies or 20 large cookies. *warning these cookies are so rich and tasty, they force you to hydrate. Perfect for the river world! 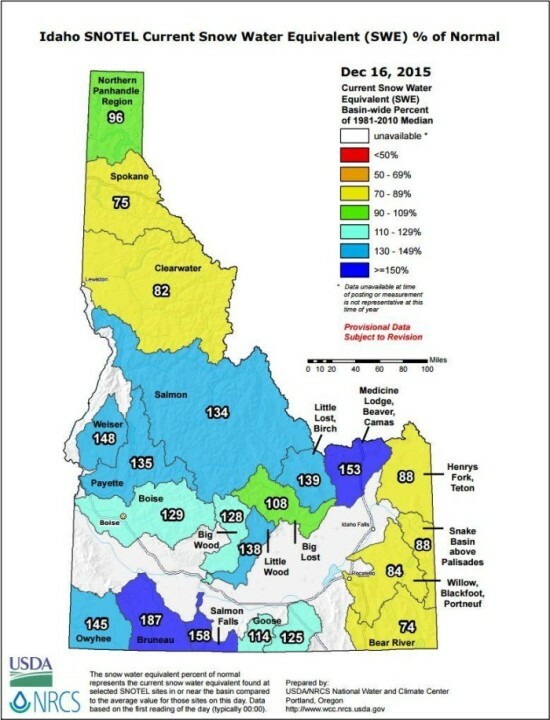 Idaho’s Snowpack is off to an amazing start! We came for the river…we remember the food. 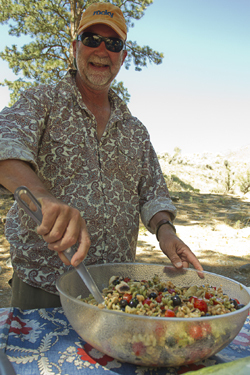 Rocky Mountain River Tours has a rich tradition of gourmet food, going back nearly 40 years. Sheila Mills, founder of Rocky Mountain River Tours and Dutch Oven Cookbook author, built an amazing culinary foundation. Rocky’s style and systems continued to be refined year after year and evolve to match our clientele. Our menus are full of fresh salads, creative entrees and amazing desserts that cover a large portion of today’s specialty diets. Gluten Free, Vegan and more specific dietary preferences are accommodated for a small fee. Fly Fishing on the Middle Fork in August and September is a surreal experience. It has all the ingredients…Gin-clear water, native trout and we use large, easy-to-see dry flys and Hoppers. The combination is a phenomenal fishing experience for both the seasoned angler and the never-ever. Westslope cutthroat trout (Oncorhynchus clarki lewisi) is a beautiful native fish, known for its bright colors and dark spots. The Middle Fork Westy is not the largest brother in the trout family (10-18 inches)., but what they lack in size, they make up for in vigor. The rumors are true…Rocky food is simply amazing! This video Rocky Food is part of a video series illustrating the magic found on a Wilderness River Trip. 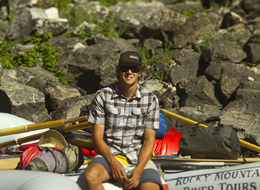 TV Host for Outta Here Utah, Nick Como shares his Rocky Mtn River Tours Middle Fork adventure with this great edit. “Putting on a neoprene wetsuit at 7 AM to step out in a 40 degree Stanley, Idaho morning can only mean one thing: Adventure! This is the coldest we’ll be all week, we are assured by Jared, head honcho at Rocky Mountain River Tours. The snow blanketing the Sawtooth range peaks, as well as several hillsides our bus zooms by on the way to Boundary Creek, leads to me to believe otherwise. This may be more camping than glamping (glamorous camping) after all. Over the next six days, we’ll drop over 3,000 feet in elevation. Wetsuits give way to shorts and T-shirts as the river cuts its way to meet with the Main Salmon 100 miles away. We begin at 6,000 feet in an alpine forest of Lodgepole and Douglas Fir on a river that resembles more of a steam. Narrow, but fast-flowing with rapids in succession, I could tell right from the start our guides were on their A-game to navigate this stretch. A few short hours and a few dozen rapids later, several of us are stipping our Scuba Steve outfits off on a sandy beach to swim in the crystal clear water of the Middle Fork of the Salmon on the trip’s first lunch break. I never needed the wetsuit again, just sunblock and some shades to “battle” the elements. 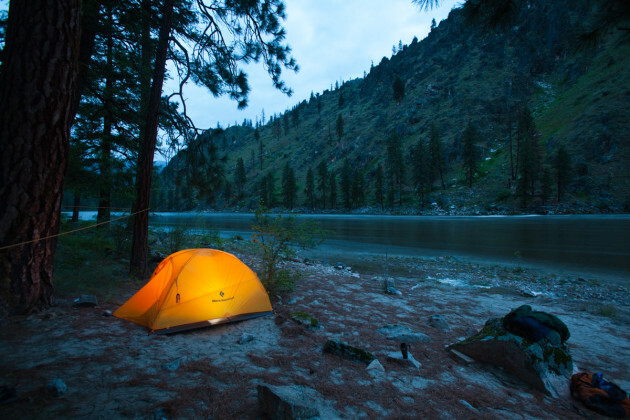 The Middle Fork is relaxing yet wild, scenic, magical and remote. It is like no other place. -Nick Como, Author at EatPlayRamble.com, TV host Outta Here Utah. The 2014 summer on the Salmon River of No Return (RoNR) aka…Main Salmon, aka…the best family vacation on the planet… is looking great! 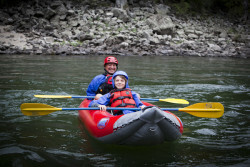 This trip is perfect for families with little or no camp and rafting experience. The RoNR’s massive sand beaches make for very comfortable camping and ample room to get your play on. Horseshoes, bago, bocce ball, and Koob are some of the evening activities. The history found on the RoNR is world We bring along SUP’s tandem Inflatable kayaks, and our PaddleCat to make sure everyone in the family gets their adventure fix. 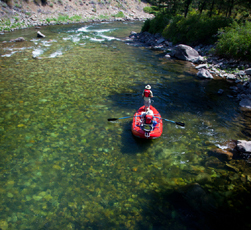 Rocky’s River of No Return trips kick off with an overnight experience at the Salmon River Lodge . A beautiful riverside property deep in the Frank Church Wilderness. 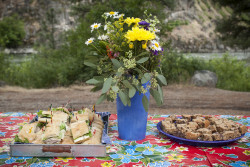 The first evening of the trip our guests and crew will celebrate the upcoming week over an Idaho-style feast. Guests and guides will wake up to a home-style breakfast before pushing off downstream into the largest roadless wilderness in the US. June 27- July 1: Sold Out! 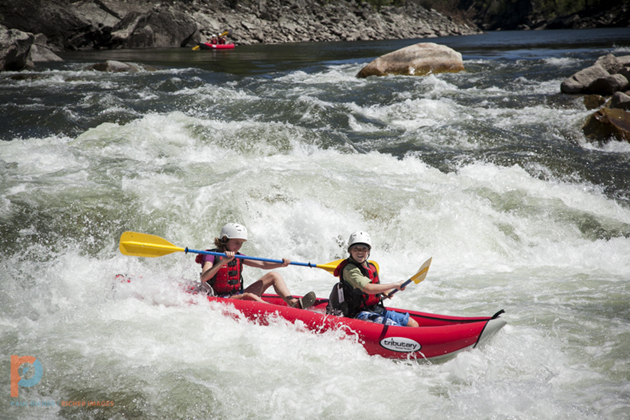 Idaho rafting is like all other world class vacation destinations. Savvy travelers seek out the shoulder season to receive the ‘Prime Season’ service at ‘Low Season ‘ rates. The Middle Fork is no different. 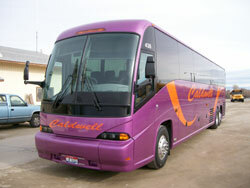 Middle Fork Motor Coach Service- New 2014! New for 2014! In an effort to make Rocky trips even better and due to popular request, Rocky now offers luxury motor coach service from North Fork back to Stanley. This offers an air conditioned, comfortable, 3 hour ride back to Stanley versus a long, hot, bumpy ride in a school bus. What a perfect ending to a perfect trip! #1- Check your Schedule– We get it…Summers are busy. Keep in mind the larger your group, the earlier you should reserve. You can compare your party’s schedule to our Trip Calendar. 2015 groups are already booking. Our trips sell out every summer and the July trips fill first. fyi….The calendar on rafttrips.com maintains our real-time availability for those who prefer to book online. #2- Give Jared a call (208)345-2400 or send a note – We need to know your preferred date, number of people in your party and their ages. 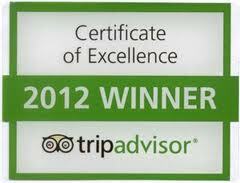 We will recommend a trip, discuss available dates, answer questions and make suggestions. We are happy to HOLD your seats for 7 days while we work through deposit and trip details. #3- Everything you need to know- Following our initial conversation we will send a follow up email recapping our conversation and include Rocky’s Guest Information Packet. It is loaded with a bunch of great info to help understand the itinerary and level of service you can expect on a Rocky trip. We will also include a link to pay your deposit with an Amex, MC or Visa. #4 Book & Confirm Travel: Rocky’s guest guru, Krista is here to help with all your travel specifics. She has a wealth of information about Stanley lodging, ground transportation, trip insurance, gear requirements, how the bathroom works and what’s for dinner. For those flying from far, far away. 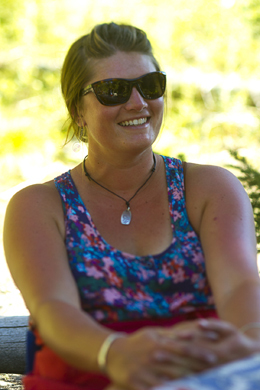 Krista will also help with arrival/departure details to make sure you are in the right place, at the right time. #5 Book the Trip of a Lifetime: As soon as you are comfortable (or within 7 days) with your trip selection, travel details and all your questions have been answered. Send us an email, give us a call or click on the link to reserve. We will keep in touch with trip updates and be available for questions at any time. So what’s stopping you? 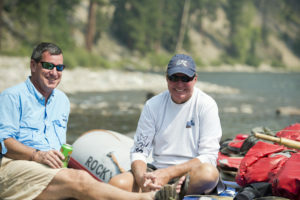 Isn’t it time you unplug and reconnect with your family & friends on an Idaho Wilderness River? Middle Fork-Main Salmon 6-Day Epic! In Idaho we call it… turning the corner. 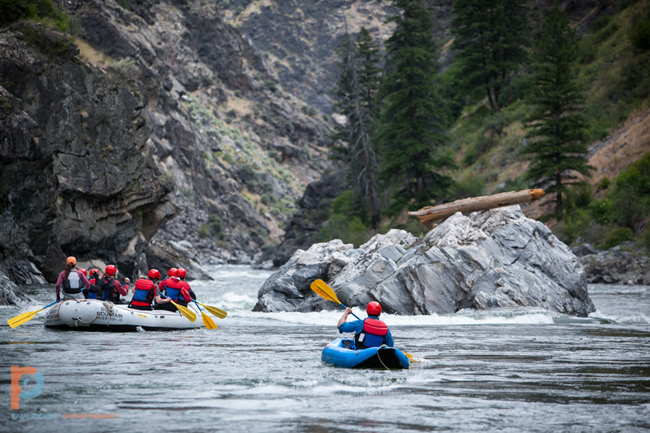 Outside of Idaho, they call it …the crown jewel of wilderness rafting. Stanley to Stanley round trip. Trip costs includes Cessna flight from river’s edge back to Stanley. 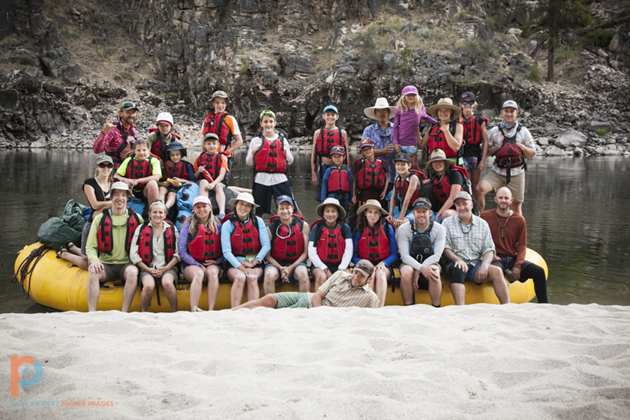 Thanks Rocky guides for a great 2013! First, let me apologize for my lack of posts. 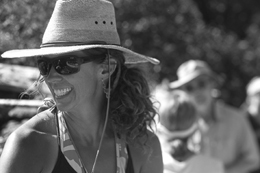 The combo effect of wrapping up the river season and having a new baby has been a whirlwind. Roni, Maya and I welcomed little Jonathan Tyler (aka….JT) to the party on September 4th . These last few months have been filled with lots of love, sleepless nights & chasing the new normal. As the dust settles and we find our groove we are having a blast. Maya digs being a big sis, Mom is in love, and Dad is thankful for it all. It has been 12 years since diapers, 2 AM feedings and tummy time. I’ll be honest Parenthood, the 2nd time, intimidated me. Oddly, the similarities between a new baby and a new business motivated me on both paths. In the beginning it was about creating a solid bond and finding a groove. Accepting that things are changing and time is in hyper speed. In a strange way I gained a clear perspective of what is important & what’s not. The constant change forced me to ‘not sweat the small stuff’ and good things happened. Next thing I know, I am looking in the rear-view mirror and amazed by my progress and stoked about the future. We have a happy, thriving, inspiring little boy…and can hardly wait to see what the future holds. I daydream of sharing the wilderness with him. Watching as his love for wild places, family and adventure influences who he is, and what’s important. This September Salmon River Anglers and Rocky Mountain River Tours are combining forces to offer the best fly fishing experience available in the United States. Join Rocky Mtn River Tours & Salmon River Anglers on an all-inclusive fly fishing trip on Idaho’s premier blue ribbon trout stream. 12 anglers, 6 guides and a week on the Middle Fork of the Salmon with nothing to do but fish…pinch me now. $2695 includes round trip charter air service from Boise, food, beer, wine and local flies. Only 5 seats remain…call now! Imagine…Gin-clear freestone river, zero angler pressure, optimum dry fly conditions and native cutthroat trout all to yourself as you explore the largest wilderness in the US. 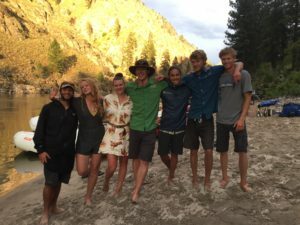 The Middle Fork’s Rocky Crew…Wow! 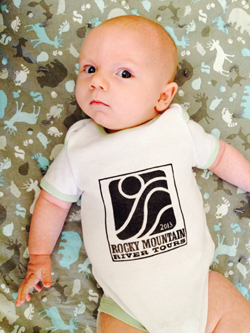 As the new owner of Rocky Mtn River Tours my first summer has been an education, a baptism by fire if you will. 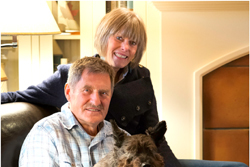 I have learned an amazing amount about operating on the Middle Fork from Dave & Sheila’s 35+years of experience. But the true education is coming from the guides. 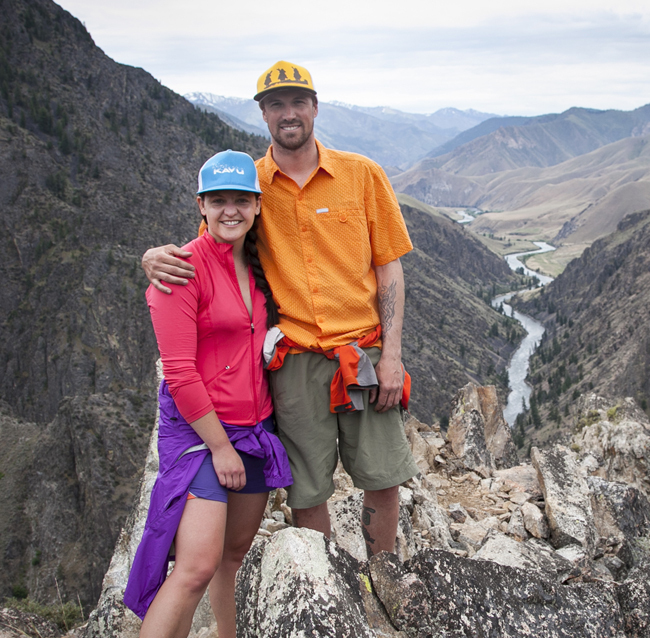 Dave & Sheila, like a broken record, touted why the Rocky Crew is the best on the Middle Fork. I knew they would be good, but I had no idea how good. This 6 person crew has been working together for years. It is obvious in their chemistry and orchestrated ability to get the job done in style. They do an amazing job, but the one thing that constantly exceeds my expectations is their connection with our loyal clients and new guests. 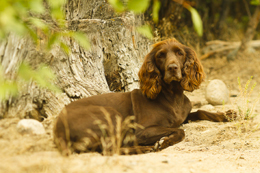 We have a number guests that return year after year solely to spend a week in the wilderness with their river friends. The Rocky crew’s genuine connection and personal friendships with our guests is truly impressive and something as the new owner I am very humbled by and thankful for. Thank you! 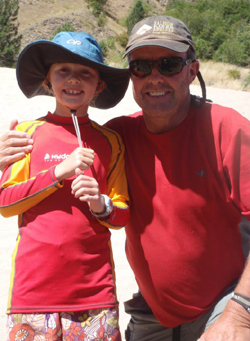 How Do You Win Grandpa of the Year?….Take the Kids on an Idaho Raft Trip. “The Sawtooth Adventure Company and Rocky Mountain River Tours merger sounds great. 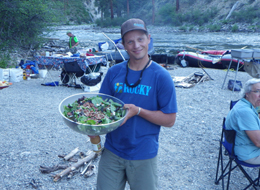 I haven’t been down the Middle Fork with Rocky, but have a friend that boasts their guides, food, wine and overall experience as A+ . My wife and I are thinking an August trip with a few of our grandchildren would be the perfect choice. 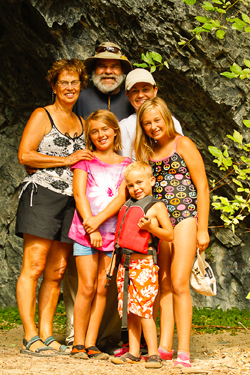 We went down the Main Salmon with two of our grandchildren (9 and 11) on SAC’s kids trip in 2010. That was the year I was crowned Grandpa of the Year. Last fall we spent five days at Disneyland with our grandchildren. It was a great experience, but it didn’t compare to our experience on the river. The grandkids were always busy riding in a raft with kids their age, inflatable kayaking with me, stand-up paddle boarding beside the raft, or kayaking with the guides. At camp they played beach games, built sand-castles for their tiny pet fish and learned a number of card games from the guides. I think it had something to do with guides specifically assigned to entertain the kids (Kid Gurus). The amazing part to me was that the I could have an adult conversation on the raft, enjoy a quiet drink at camp, or take in the wilderness experience, but still had an amazing bonding experience with the kids. No crowds, no screaming kids, no discussion about where to eat, no looking for a parking spot, and no long lines. We saw bears, bald eagles and mountain sheep on nearly a daily basis. One evening, two large male mountain sheep hung around camp so long, I thought they were going to join us for dinner. 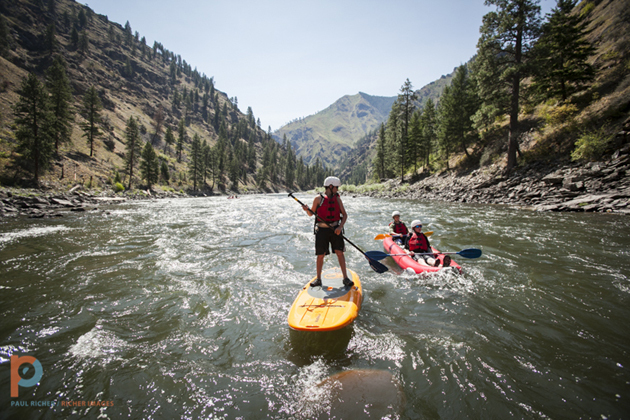 The Middle Fork of the Salmon River flows 106 miles through some of the wildest country left in the lower 48 states, directly through the heart of Idaho’s 2.4 million acre Frank Church River of No Return Wilderness. Consequently there are no roads into the area; access is either gained by a hike, a horse ride, flight in by bush plane or by floating all or part of its 106 miles. However the effort exerted will be well worth it as the Middle Fork of the Salmon River is one of the premier fly fishing rivers in the Continental U.S. for native Cutthroat and Rainbow Trout. 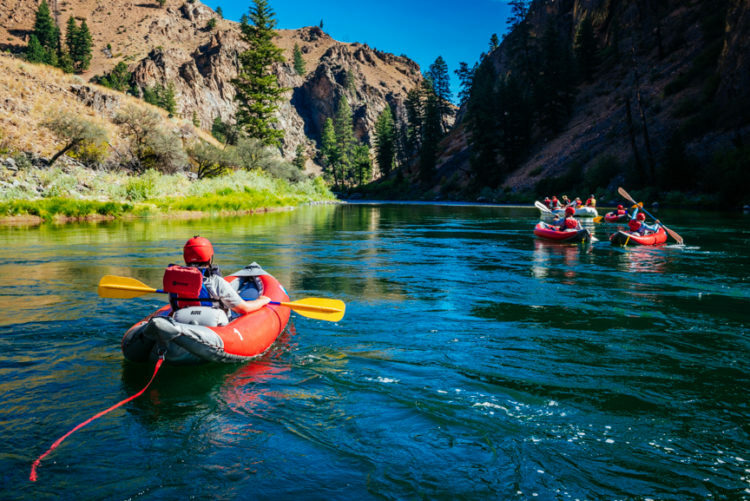 In order to float this wild & scenic river, one either has to obtain a permit via the Idaho 4 River lottery system or go as a member of a commercially guided trip with any of many licensed outfitters. 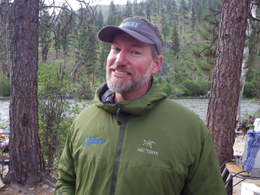 The Middle Fork Outfitters Association web page is a great reference tool to find an outfitter. Many of the outfitters offer fishing specific trips. 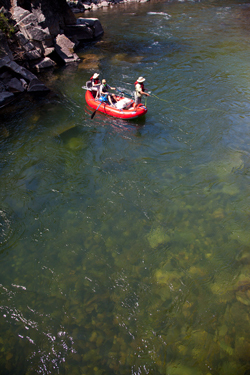 Fly Fishing on the Middle Fork is best from early July through September. (During an average water year, there will simply be too much water to fish effectively before mid July.) I prefer to float the river at water levels between 2 and 2.5 feet. These levels are typically found in late July/early August. Fish will range in size from 10-21 inches with the average fish being in the 12 to 15 inch range. If you float the river, the fish will get bigger as the river increases its flow beneath Big Creek (Big Creek itself is a fantastic fishery). Assuming that the fish cooperate a little, it is not uncommon for the skilled angler to frequently catch more than 50 trout in a day. On this river, even a less than ideal cast can bring a vigorous rise and the crystal clear water allows the angler to watch the underwater action. 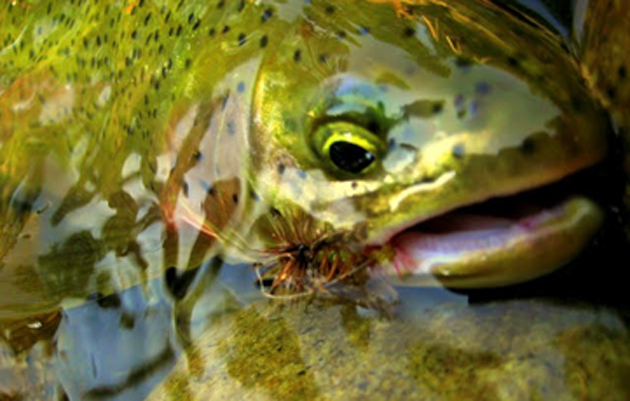 The fish are willing to take flies on top of water whether there is a hatch on or not. 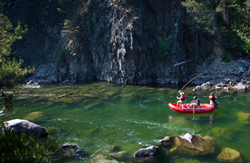 Consequently, the Middle Fork Salmon River is an excellent place to introduce the young or novice angler to the sport of fly fishing. Give us a call to join Salmon River Anglers (SRA) on our All Inclusive Fly Fishing Trips on the Middle Fork. 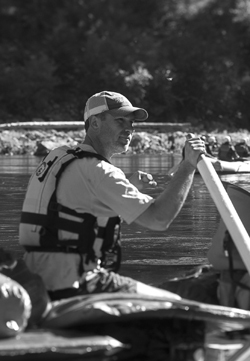 Our SRA guides flock from around the world to fish the Middle Fork in September. Trips will enjoy the Rocky tradition of world class guides, amazing food, great wine and the West’s best multi-day guided Fly Fishing Experience. 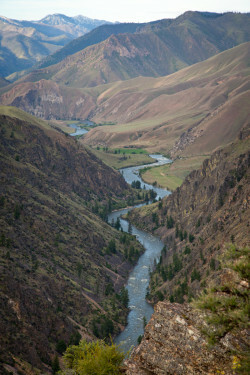 The Middle Fork of the Salmon…Earth Day is Every Day! It is an exciting time in the Rocky home office as the Idaho Rafting season is quickly approaching. The phone is ringing with excited guests as they plan and prepare for their magical journey down Idaho’s Middle Fork of the Salmon. As I talk with guests about our world-class rafting trips and I find myself constantly being poised against our desert counterpart, the majestic Grand Canyon. 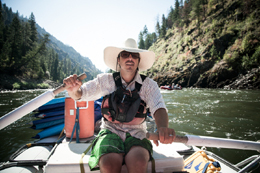 This comes as no surprise as It is common knowledge that the Middle Fork of the Salmon and the Grand Canyon are America’s (and the world’s) “must-do” river trips. Both have world-renowned whitewater, amazing scenery and great history…but in our humble opinion, it’s not even a contest. 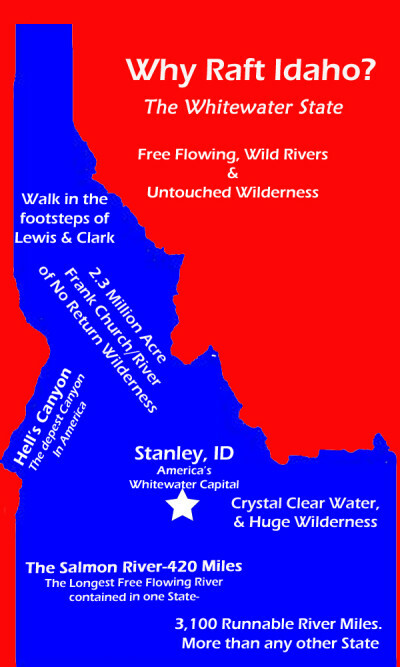 The obvious reason…the Middle Fork is untouched by mankind. In a world where mankind’s fingerprints have touched nearly everything, it is refreshing to find a place that is the same today as when the Shoshone and Sheepeater Indians called it there home. This fact seems especially poignant with the timing of Earth Day and America’s one day reminder to take their shoes off, walk barefoot in the grass, take a deep breath of fresh air, listen to the birds, and appreciate our natural world. 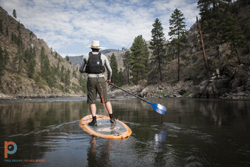 On the Middle Fork, Earth Day is every day. This amazing free-flowing river runs the same course as it did when the dinosaurs roamed. You won’t find National Parks, dams and man-made floods. 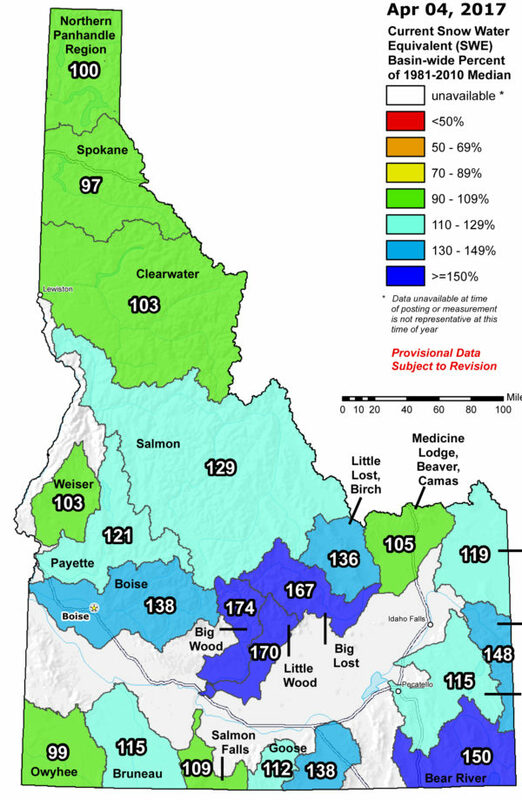 The Middle Fork has very few endangered species ad even fewer invasive species. What you will find is towering Yellow Pines, cascading crystal clear creeks, native West-Slope cutthroat, returning spawning Salmon and hardly the fingerprint of man. Simply put….like no other place on earth. Lovers (and future lovers) of the Middle Fork owe this ageless gift to the former US senator from Idaho, Frank Forrester Church III. Senator Church was extremely influential securing protection for the unparalleled wilds of central Idaho. Frank Church lead the charge for the Wilderness Act of 1968, The Wild & Scenic River Act, and the Frank Church –River of No Return Wilderness. The result of these three historic pieces of legislature created the majestic Middle Fork of the Salmon. Nowhere else can one find a designated Wild & Scenic River that slices through the largest protected Wilderness Area in the lower 48. 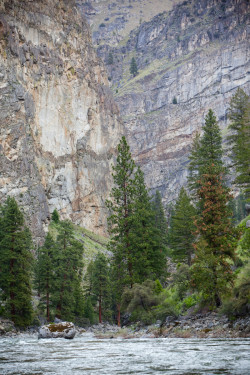 The Middle Fork remains one of the last places in the United States where young generations can visit and experience wilderness in its pure form. 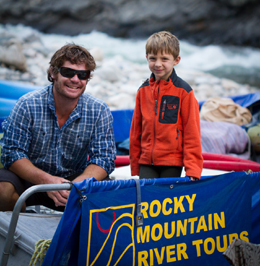 It is no surprise Rocky Mountain River Tours has such a large number of returning clients each summer. Once you experience the magic of the Middle Fork you will swear to return, and share it with your closest family and friends. As a steward of the Frank Church Wilderness and and partner with the US Forest Service, Rocky Mountain River Tours is committed to continuing the legacy of the amazing Frank Church Wilderness and the wild Middle Fork of the Salmon for future generations to visit and enjoy. Our 2013 trips are filling fast. 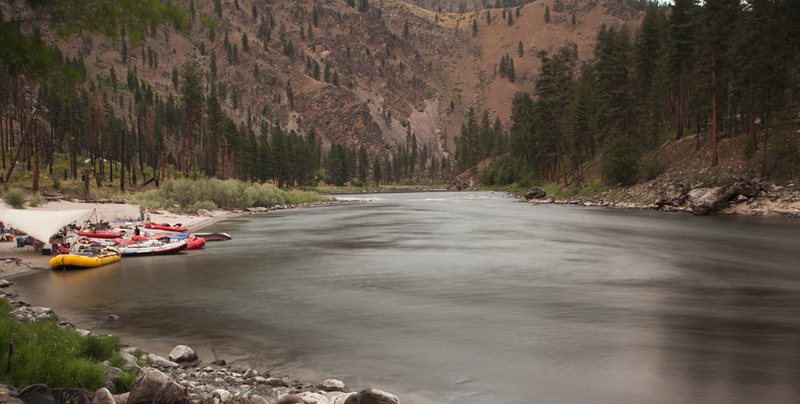 Give us a call to reserve your week in the wilderness and to learn more about our world-class Idaho river trips. Who are Rocky’s New Partners? Join us on the ultimate family adventure. Jared, Roni & Maya are proud to announce the receipt of TripAdvisor.com’s 2012 Certificate of Excellence for their family rafting trips with Sawtooth Adventure Company, the highest service award available by the web’s leading travel resource. 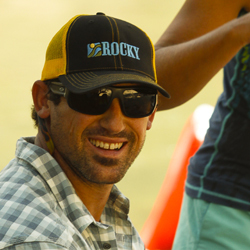 Jared and Roni will bring their experience offering the nation’s best family rafting adventures to maintain and build on Rocky’s tradition and exceptional service on the magical Middle Fork. Good things seem to all happen at once. 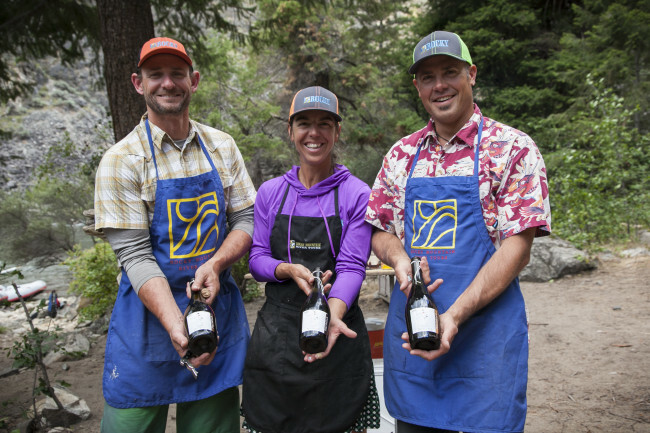 In addition to Jared & Roni’s expansion to the Middle Fork they are excited to expand their family with the arrival of a jr Middle Fork guide this August. Ironically, Maya was born the same year Sawtooth Adventure Company was founded and has been the motivating factor behind creating the Ultimate Family Adventure ever since. Wonder what the next jr guide will bring?